All there is to know about the western part of the Netherlands, Holland, is to be found at Zaanse Schans: windmills, wooden shoes and cheese. On the short drive towards Zaanse Schans your guide will fill you in on our typical landscape, windmills, reclaiming land and water management, and answer any question you might have. At Zaanse Schans you will visit a klompenmakerij (wooden shoes workshop) and a windmill. 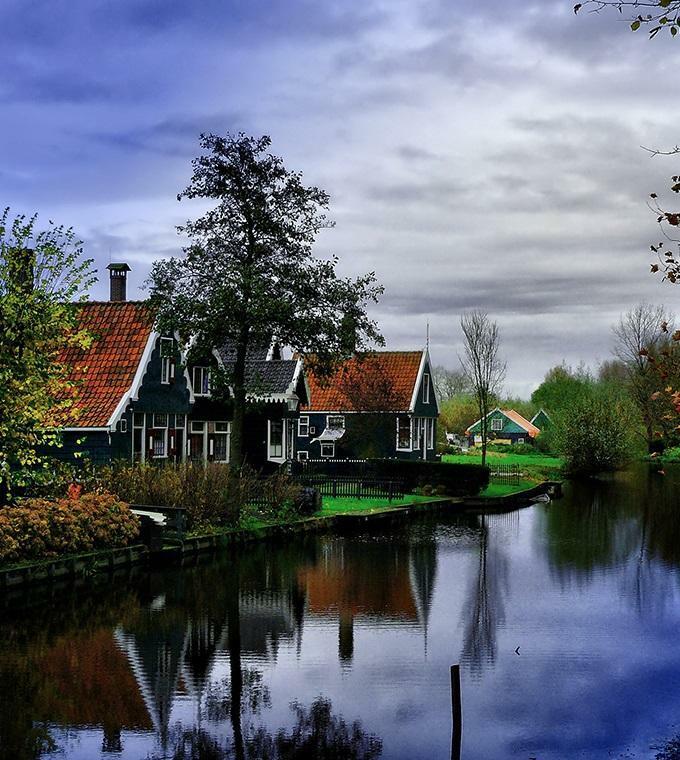 You will continue towards Edam with a lovely scenic drive through the Beemster, one of the oldest polders of Holland, listed as Unesco World Heritage. This Beemster polder was reclaimed in 1612 already! In Edam, one of the most beautiful late mediaeval cities of Holland, we will do a guided walk. The name Edam might ring a bell; and indeed this is the very town where the typical yellow round cheeses were made. You will visit the Waag; a place where for centuries cheese was weighed and stored. Nowadays a fine selection of cheeses can be tasted and bought…This will conclude the tour, your guide-driver will take you back to Amsterdam. Meeting point: at your hotel. Participants: you and family, friends or guests. This is a private tour; you will not be joined by others.